For graduation my parents got me a copy of Samuel Rutherford’s The Loveliness of Christ, which is a compilation of extracts from his letters. 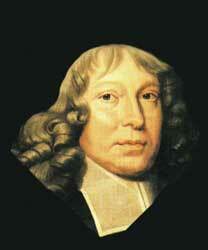 Rutherford was a 17th century Scottish pastor after whom I am named (my middle is name is Rutherford). “I am sure that the saints at their best are but strangers to the weight and worth of the incomparable sweetness of Christ. He is so new, so fresh in excellency, every day of new, to these that search more and more in him, as if heaven could furnish as many new Christs (if I may speak so) as there are days betwixt him and us, and yet he is one and the same” (p. 45).